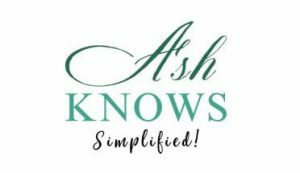 ASH KNOWS is a personal blog where I (Ayesha Khalid) write about blogging, SEO, earning online, entrepreneurship, digital marketing, WordPress, and daily motivation. All the information and views shared here are purely individual opinions. The content present on this blog is not written with the intention of hurting any religion, ethnic group, individual, company, organization, or anyone else. All the contact information (such as name, email, and billing address) and financial information (such as credit card number, expiration date) are always used for providing your better experience and are not sold to anyone. I do not use your Personal Identifiable Information for any kind of spamming activity. You’ll get emails from me about different content, product or services only if you show interest for them. No doubt, I love reading your comments and showing them on my blog but if any comment contains any kind of racism, hate speech, abuse or harsh words, it will not be entertained on this blog. I have maintained a moderation check on the comments for this purpose. Please know that I hold all the rights to accept or reject your comments. Although I put my best efforts to provide the right information, I cannot guarantee that all the information that is shared on this blog is completely correct, accurate, and up-to-date. I share different ways of making money online but it is not necessary that all of these ways will work for you too. So, please use the information present on this blog at your own risk. Earning money online and building your own business requires a lot of time, dedication, and consistency. I do not guarantee that you will achieve the exact results that are achieved by me over the years by working online. Please acknowledge that the earning potential of every individual depends on several different factors that vary from person to person and are often out of any individual’s control. There are different types of affiliate products or services that are advertised on this blog. I make every possible effort to represent these products and services accurately. If I use affiliate links in my content, I always mention a note for you about those links. Besides that, I never recommend or advertise the product that I personally do not find suitable or like to use. If you make some purchase through affiliate links, I may earn a specified amount of commission for that. When you purchase the products or services through this blog, you know and agree to all the risks associated with using those products or services.